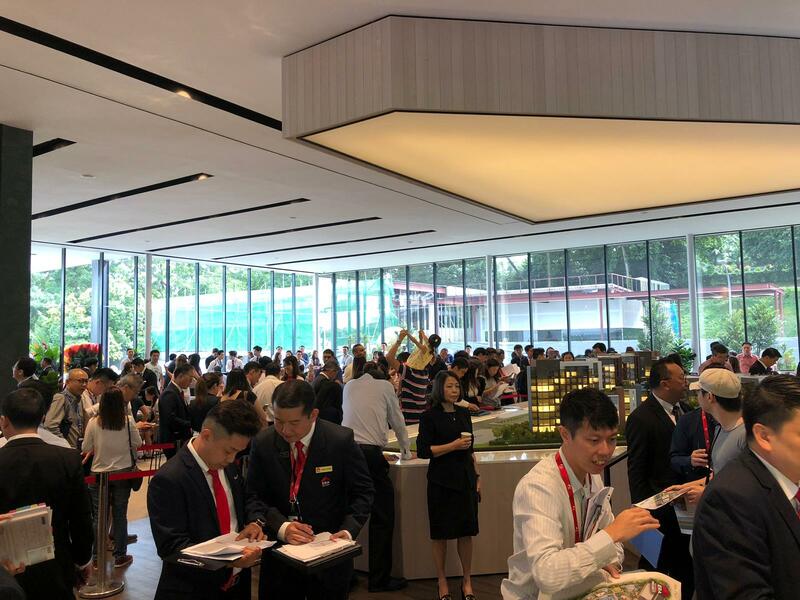 Property developer Allgreen Properties Ltd says it sold a total of 70 units at Fourth Avenue Residences on the first weekend of launch (Jan 19-20). This represents 42% of the 168 units released in phase one of the residential condominium located off Bukit Timah Road in prime District 10. The average price achieved for units sold in the first phase was $2,375 psf, after a 5% plus 3% early bird discount. According to Allgreen, about 85% of the buyers are Singaporeans, with the remaining 15% made up of Singapore permanent residents and foreigners. About 70% of the buyers are residents in prime Districts 10 and 11 as well as those in the fringe areas of Districts 5, 15 and 21. “We are pleased with the healthy take-up in Fourth Avenue Residences,” says a spokesman from Allgreen Properties. “The project has strong location attributes, and great growth potential and demand.” Fourth Avenue Residences is located next to the Sixth Avenue MRT station on the Downtown Line and it is “the only project with a direct covered linkway to the MRT station”, points out Allgreen. The 70-unit sales achieved at Fourth Avenue Residences is “remarkable” when compared to the monthly take-up of 32 units for new homes in the Core Central Region (including prime Districts 9, 10 and 11) from August to December 2018, following the cooling measures last July, says Jack Chua, ERA Realty Network CEO. About 70% of the units sold at Fourth Avenue Residences were one- and two-bedroom apartments, adds Chua, while three- and four-bedroom units made up the remaining 30%.